These posters feature a vibrant photograph of Ghanaians from varied walks of life, engaged in different activities in familiar environments. 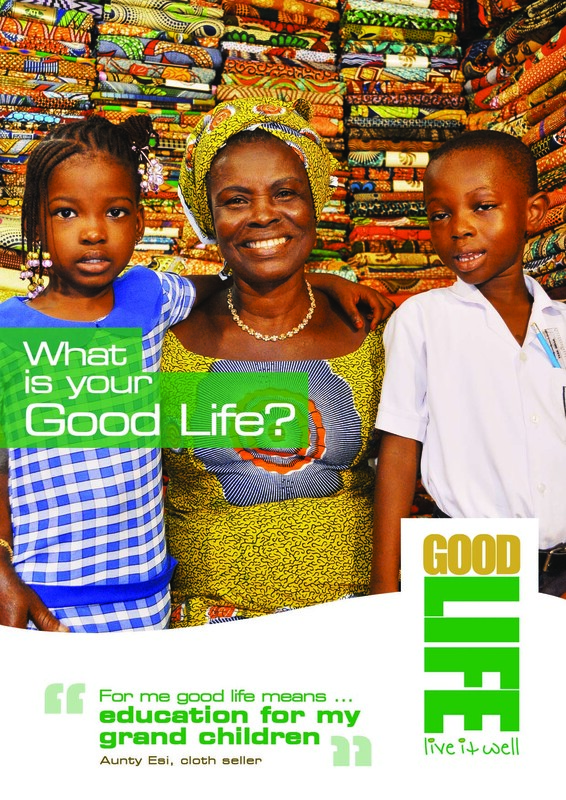 The posters all have the GoodLife logo on them and pose the question “What is Your Good Life?” Answers to this question appear on each poster in large quotation marks. The posters featured a variety of individuals from various walks of life: footballer, cloth seller, taxi driver, Farmer, hairdresser, and business man.